It is impossible to imagine the education process without educational materials and auxiliary illustrations. And it is important that they will be bright, interesting and attractive for the pupils and students. ConceptDraw DIAGRAM diagramming and vector drawing software offers the Education Infographics Solution from the Business Infographics Area to help each education-related person create professional looking and attractive educational materials. drag clipart, pictograms, charts, and other desired objects from the libraries of Education Infographics Solution and other solutions from ConceptDraw Solution Park. 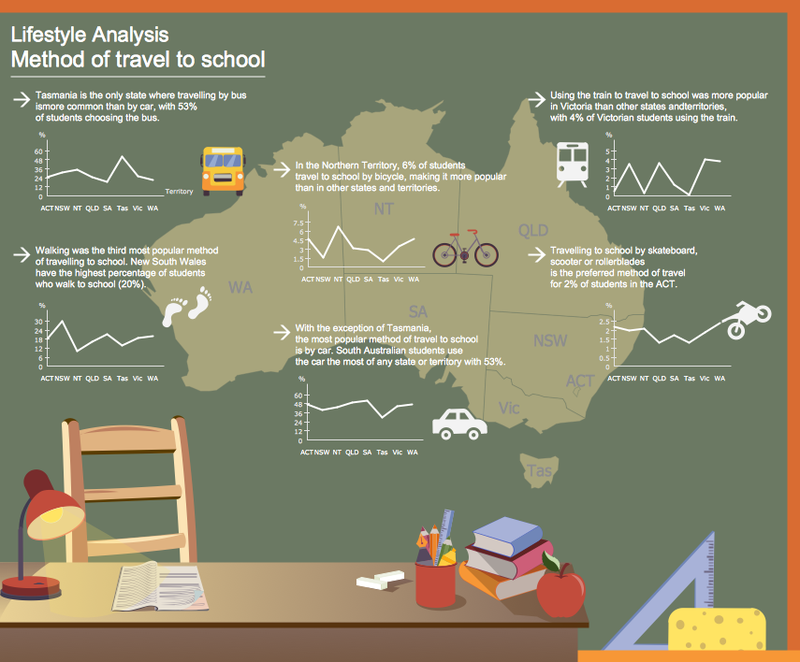 Education Infographics Solution includes also variety of templates and samples which you can observe in ConceptDraw STORE. Click on the preview image to open sample for editing in ConceptDraw DIAGRAM application. This sample was created in ConceptDraw DIAGRAM using the vector objects from the Education Infographics Solution libraries and shows the detailed educational information for the number Pi. An experienced user spent 15 minutes creating this sample. Use Education Infographics solution to create your own clear and attractive educational materials quick, easy and effective. All source documents are vector graphic documents. They are available for reviewing, modifying, or converting to a variety of formats (PDF file, MS PowerPoint, MS Visio, and many other graphic formats) from the ConceptDraw STORE. 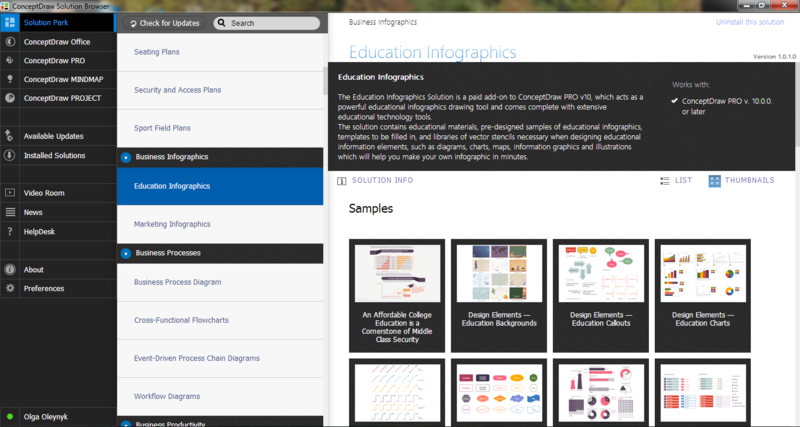 The Education Infographics Solution is available for ConceptDraw DIAGRAM users. You want to make an infographic and need the useful and convenient drawing tools for this? In this case the ConceptDraw DIAGRAM v12 software extended with Education Infographics Solution is a real godsend for you. The Education Information is multifariuos and can be often represented in various forms. Еру the most successful ways of presentation the information and data are various illustrations, diagrams and colorful education infographics which you can easily make in ConceptDraw DIAGRAM v12 software extended with Education Infographics Solution from the Business Infographics Area.